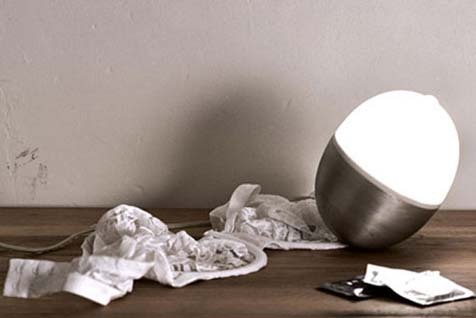 Tete (from the French word meaning ‘head’), is a prototype lamp for domestic use. Simple in design, it is intended to produce a soft light with as few components as possible, an aluminium casting and a plastic shade, plus fittings. Conceived as a bedside lamp and a conversation piece, Tete has a soothing quality and an evocative shape to be accompanied by the slogan “Utiliser votre Tete!”.